Because of the PE has good heat seal ability, it can’t obstruct the gas but it can obstruct the fluid very well. It is good for packing fluid medicine. Officinal PVC/PE coated film has taken away from the two defects above. It is mainly produced by officinal PVC film, then heat seal the PE film. During the producing, the temperature, coated quantity and solid time are measured strictly to make sure that the product can meet the standard of the same product in the international. The heat seal ability is 4 times higher than common PVC film. It also has good rigidty, flexility, compression resistance and dilatability. 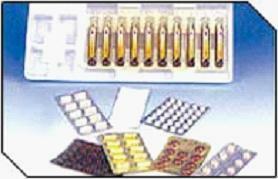 It is suit for packing all kinds of fluid medicine. 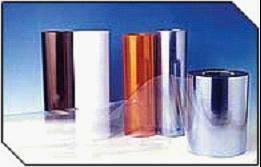 PS: If there is any volatile, please consult to use PVC/PVDC/PE coated film. This product has high obstruct ability. 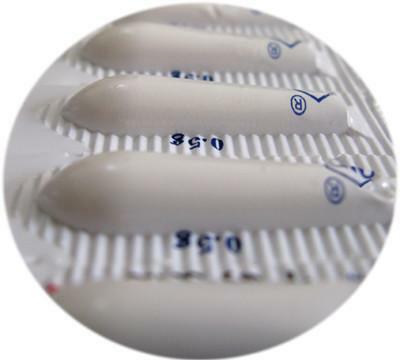 It can complete avoid the volatilization of the shortage quantity or other effect that affected the capability of the medicine.